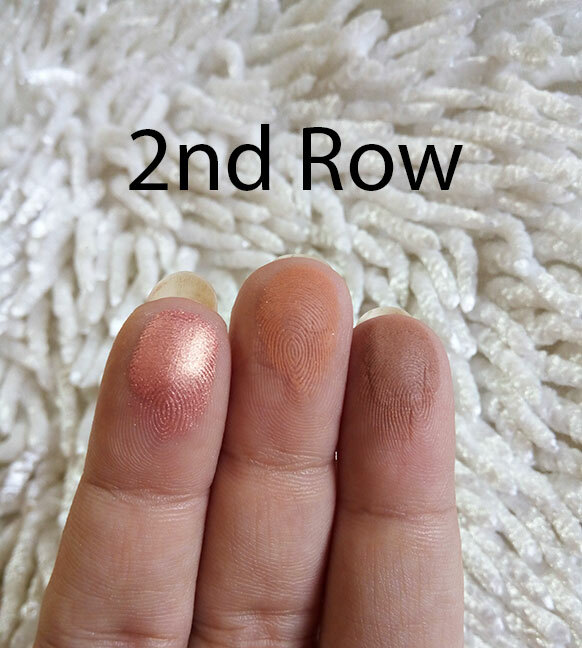 It took me a long time to get my hands on this palette because it was always sold out. After finally getting it I used to just stare at it, it is so beautiful. 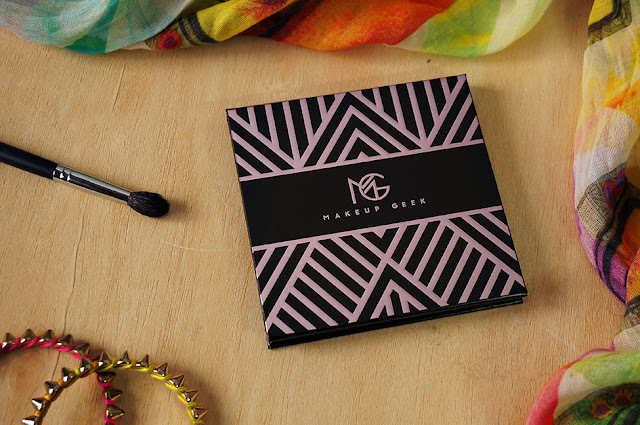 Owning Makeup Geek eye shadows was always on my makeup bucket list so when one of my favorite Vlogger, Manny Mua, collaborated with that brand I was not able to resist and just had to get the MAKEUP GEEK X MANNYMUA PALETTE. 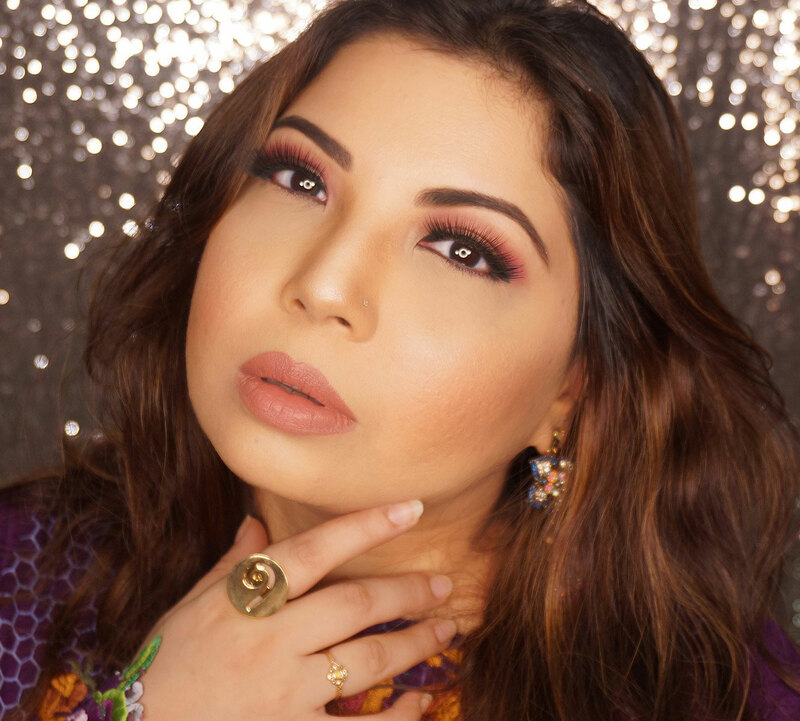 Makeup Geek has one of the best Eye shadows I have ever tried and then when Manny MUA's palette came out with a mix of his own own customized shades as well as some of his favorite existing MUG eye shades the result was magical. Seeing that cranberry shade made my heart melt. 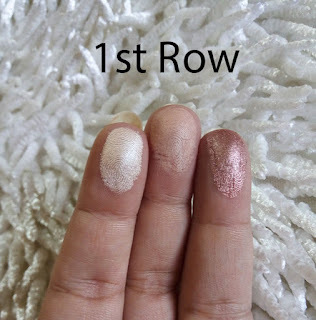 I needed this palette in my life and waited patiently till it was mine. 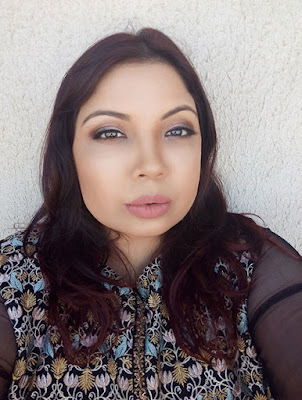 Manny was one of the first Vloggers I started watching when I got into the entire beauty blogging groove. He is such a darling and super talented. He comes up with great color and product choices even during collaborations. 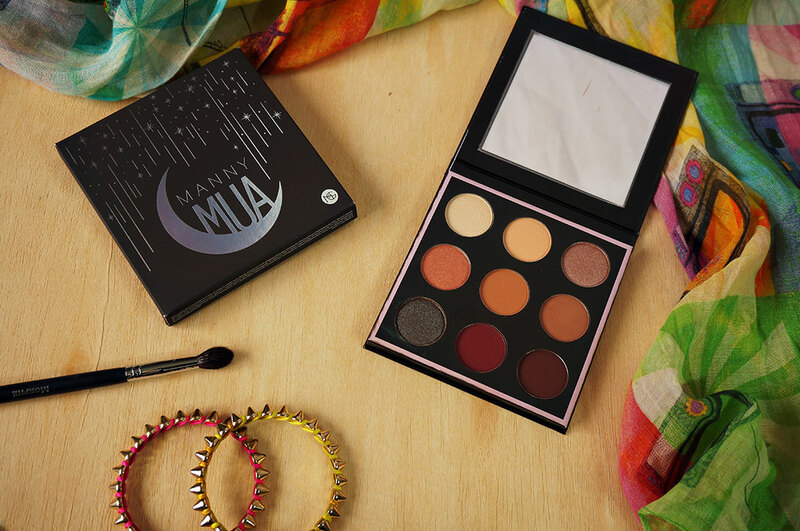 When Gerard Cosmetics released serenity, a Manny Mua Collaboration, I was lucky enough to buy that too. You can read my review of "Serenity" HERE. It was no surprise that the MUG collab turned out so delicious as well. 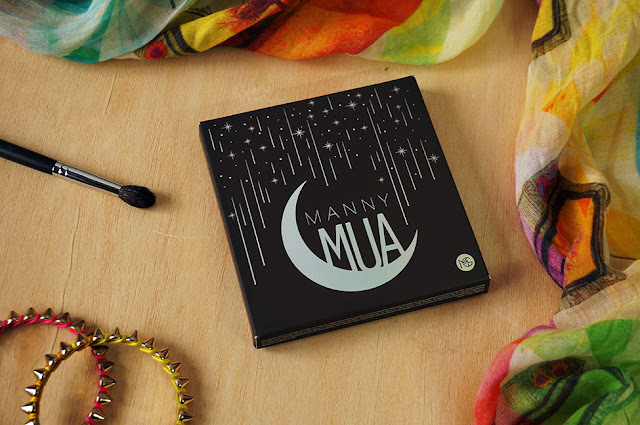 The packaging is so Manny, the silver crescent moon says it all. 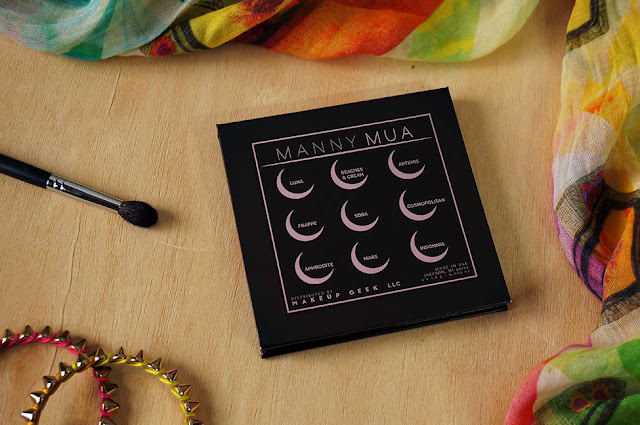 I really loved the packaging, the outer sleeve with Manny's signature logo and sign on the back as well as the inner cardboard palette with mirror on the inside. 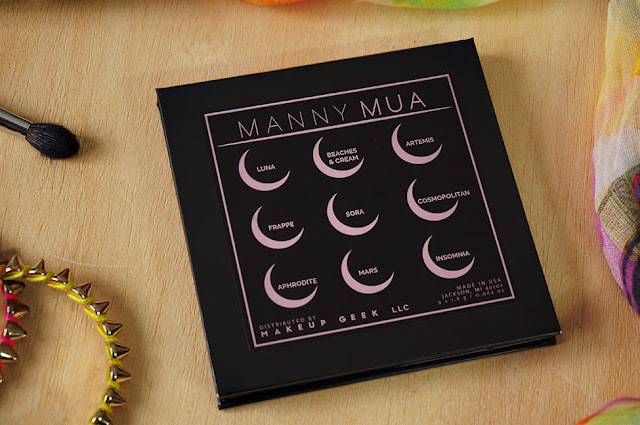 I liked how they mentioned the names of the shadows on the back on crescent moons, super sweet. The matte black finish was as appealing to me as the perfect square size. 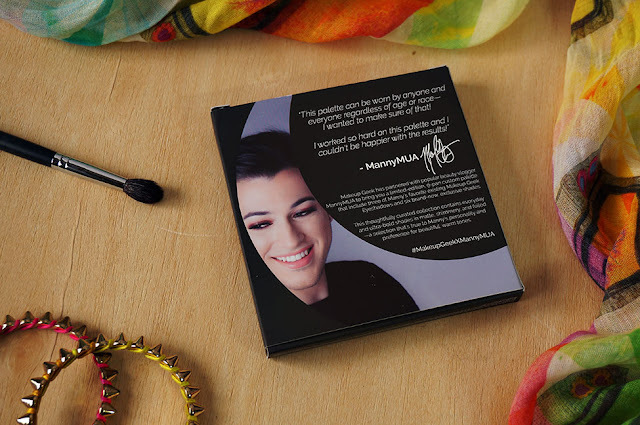 The eye shadows are a mix of the shades that Manny created along with the ones he chose as his favorites from the MUG range. The palette contains a total of nine eye shadows out of which three are permanent and existing shades from the Makeup Geek range (Beaches & Cream, Cosmopolitan, Frappe), while the rest of the five are new shades by Manny. The palette is a wonderful mix with 2 shimmers, 5 mattes, and 2 foiled shadows. 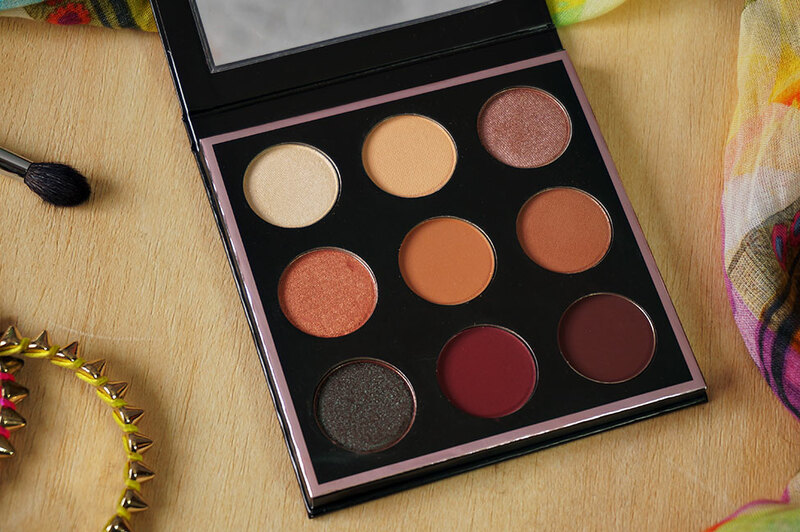 I find this palette ideal for not only everyday, on-the-go, makeup but you can even create a lot of glam looks for a night out. Its definitely one of my favorites to date. 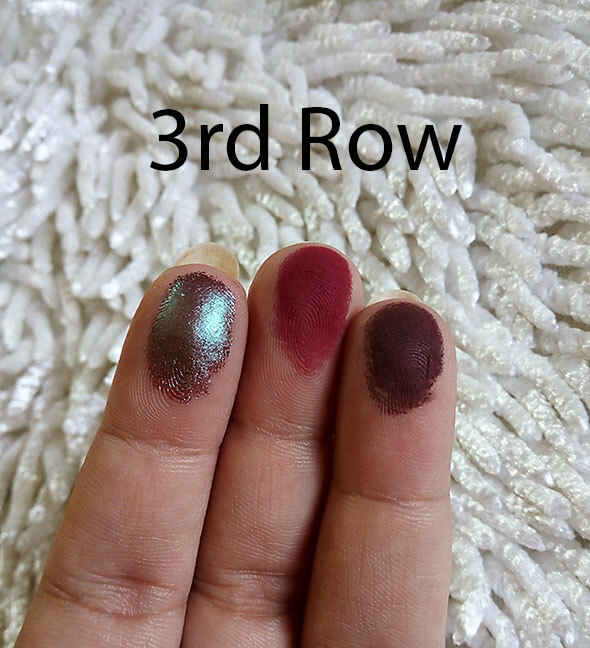 I did feel a little fall out with Artemis and felt that Mars was a bit dry but overall I am very happy with the eye shadows. 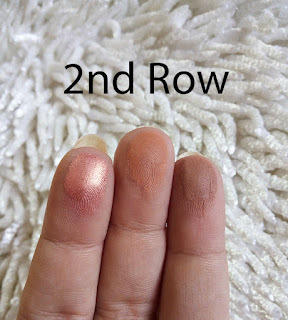 Luna has a buttery feel, rose gold with a foiled finish. 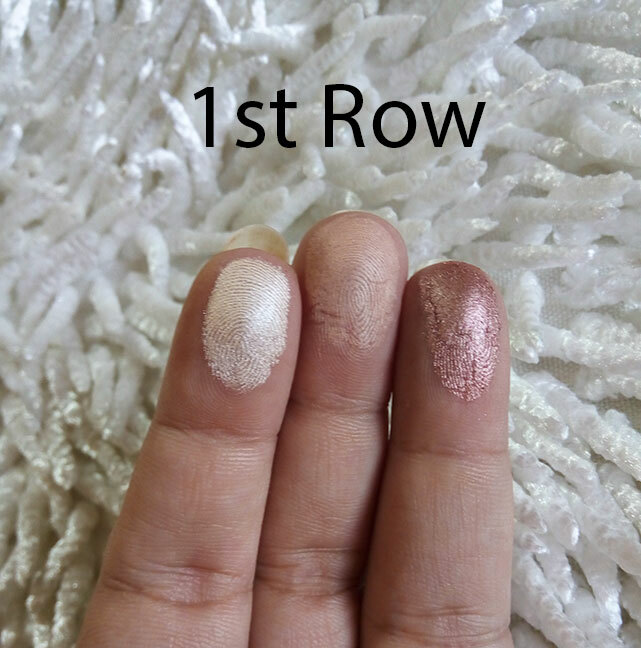 Cosmopolitan is a champagne rose color with a shimmery finish. Sora is an earthy terracotta with a matte finish. Mars is another favorite with a deep cherry red color and matte finish. You can see on the left the Look I created using the MannyxMUG Palette and also wearing Serenity on my lips by Gerard Cosmetics, another Manny creation. The palette is available on the Makeup Geek WEBSITE and you can also order from AMOR if you are in Pakistan and don't have access to the website. 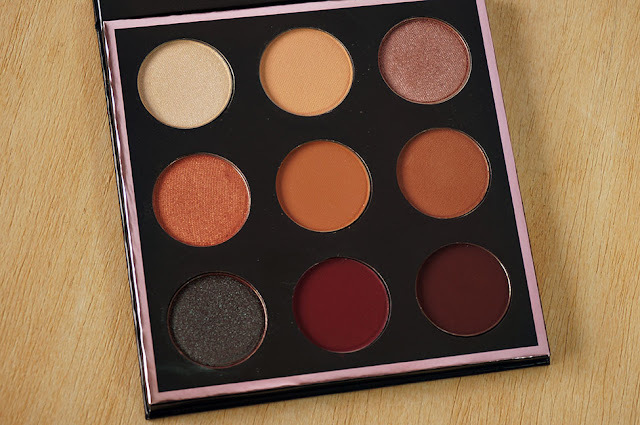 The palette retails at $45.